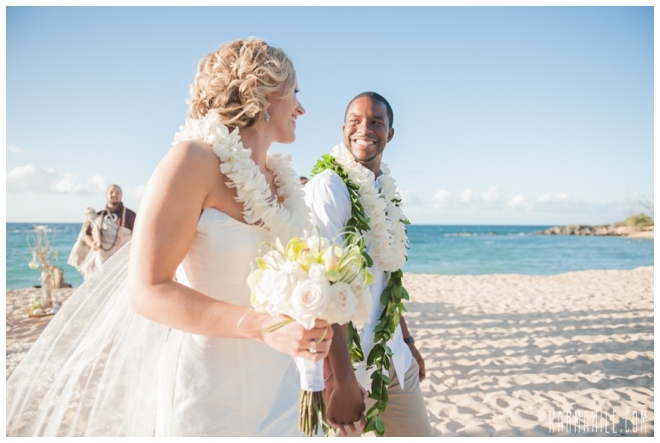 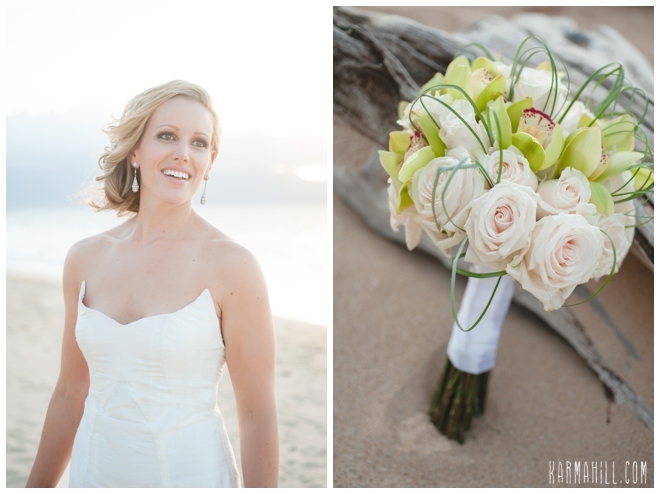 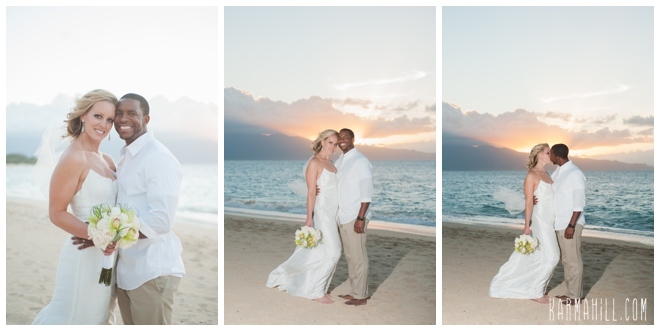 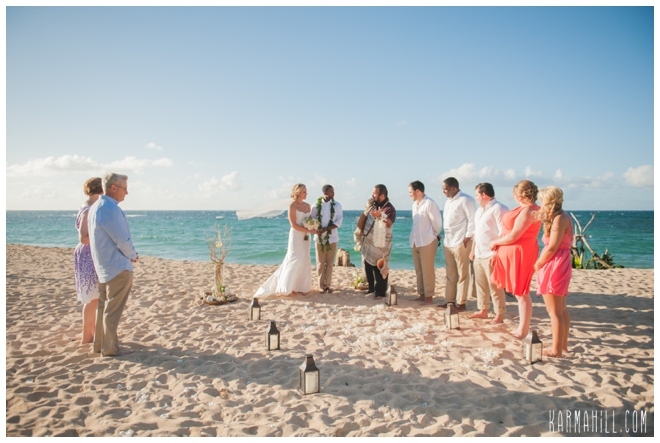 Ilsa & Sempangi were married last week on the beautiful shores of Baldwin Beach. 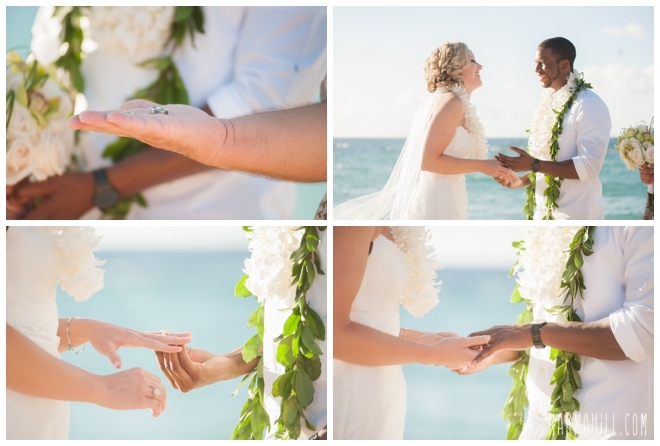 Their closest family and friends watched along as these two exchanged their vows. 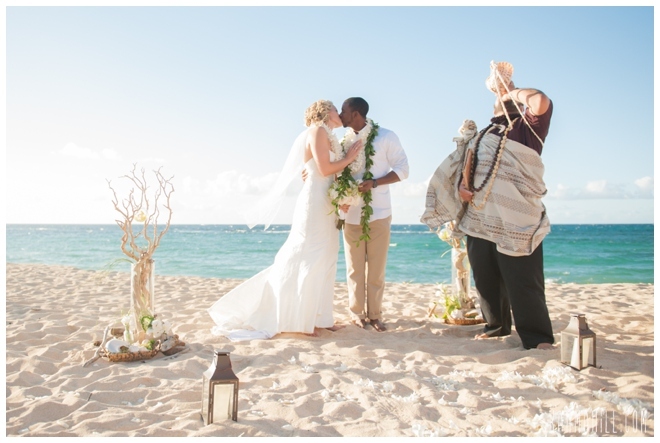 They had a gorgeous styled alter setup that matched Ilsa's bouquet and then the aisle was framed with beautiful lanterns. 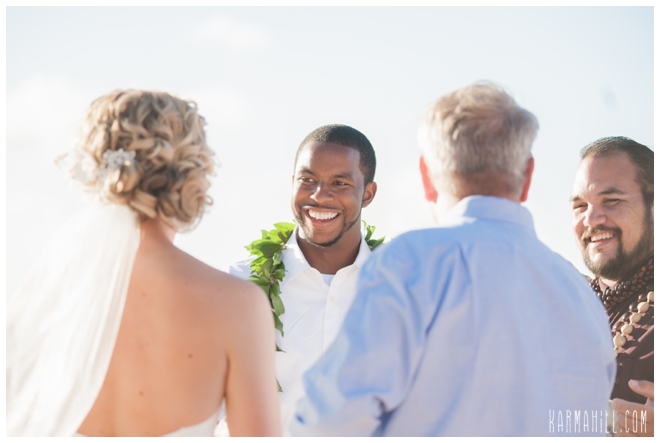 Sempangi was so happy and excited to see his bride walking down the sandy aisle. 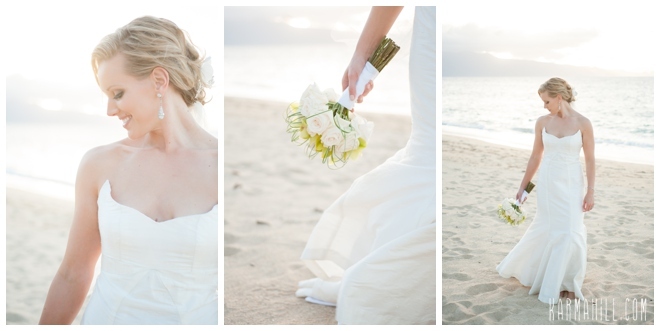 Ilsa's wedding dress was made by her sister so it is very special to her. 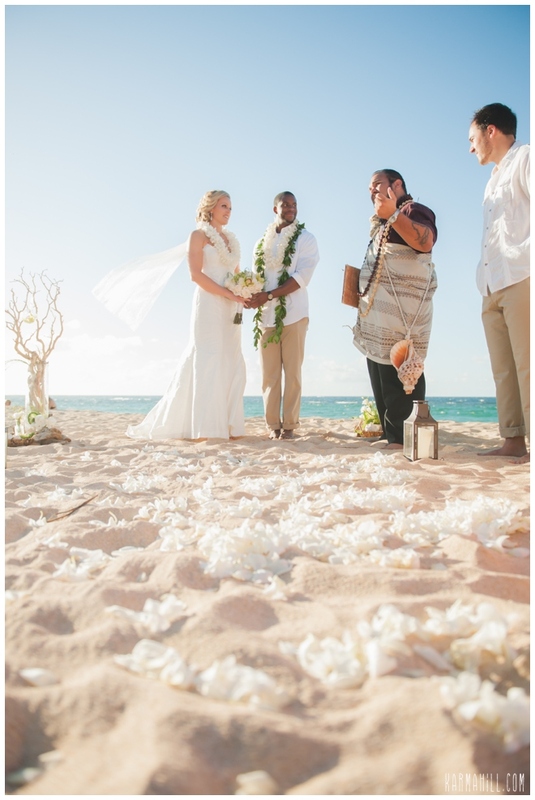 Kahu Kamuela officiated their ceremony and he added in his Hawaiian touches. 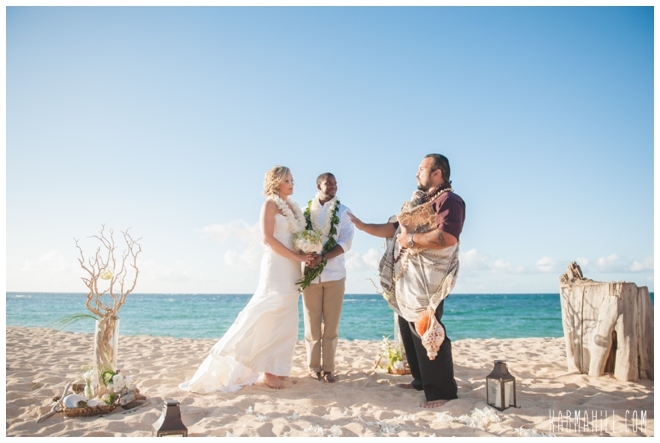 He opened the ceremony with an Oli, a beautiful Hawaiian chant and closed it with the blowing of the conch shell. 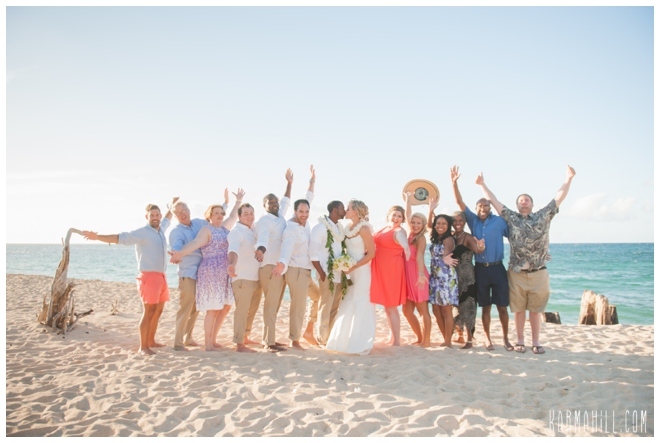 It was day to remember for all involved. 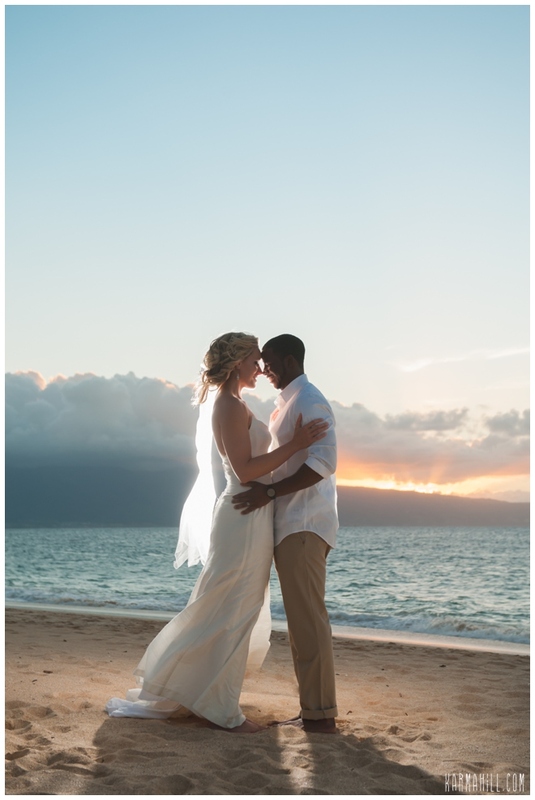 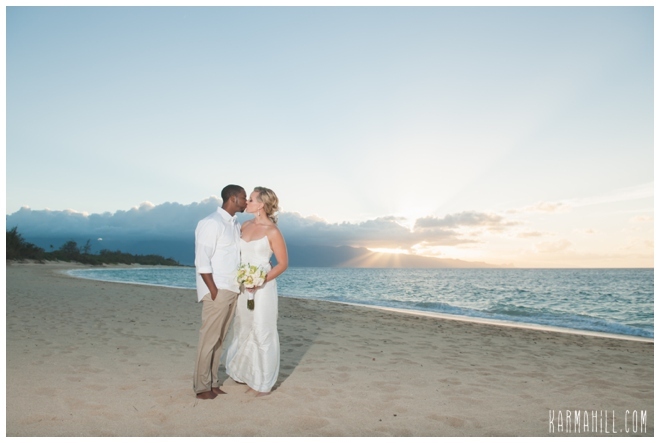 Thank you so much Ilsa & Sempangi for allowing Simple Maui Wedding to coordinate your Maui wedding day. 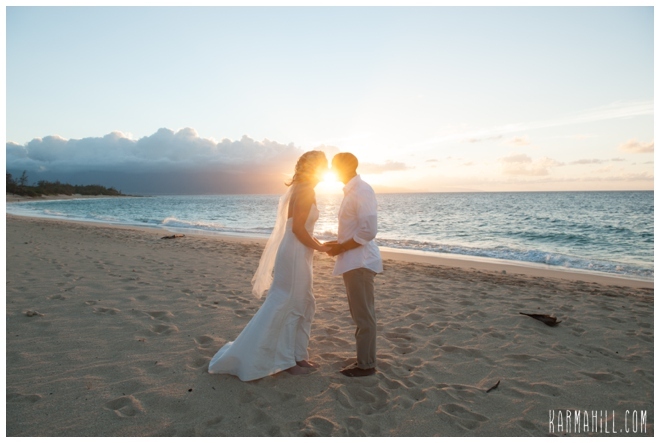 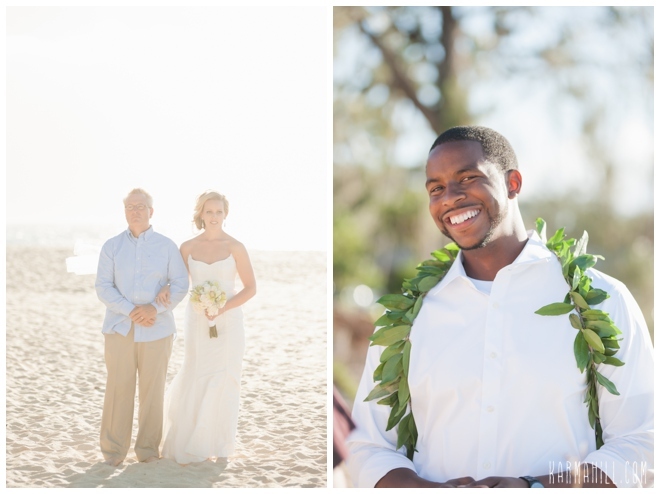 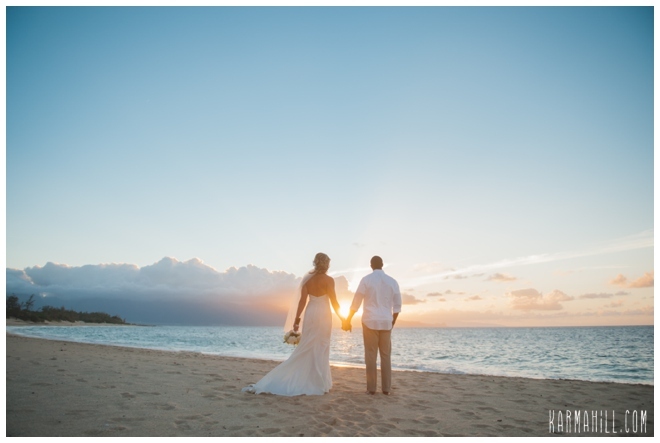 Check out our last Maui beach wedding with Gefan & Chunyu!